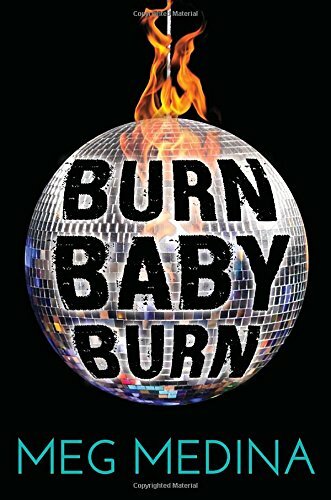 Burn Baby Burn is a fairly typical story of a teenage girl finding love and managing a messed-up home life set against the backdrop of 1977 New York, the summer a serial killer calling himself the Son of Sam haunted the streets at night, gunning down young women and couples in parked cars. The setting is the most compelling part of the book, the hot, sticky nights and thumping disco coming alive through Medina’s words. Despite the inclusion of the serial killer angle, Burn Baby Burn is much more slice-of-life than detective story. Don’t expect main character Nora Lopez to don a Sherlock Holmes cap and make a citizen’s arrest—she’s more concerned about her pyromaniac brother, absent father, and the hot stockboy at the grocery store where she works. And, of course, the age-old question: what to do after high school graduation.